Every time I make a Glazed Ham on the Grill there is a hunk of it I just can't get sliced nice off the bone. I put it in a zip shut bag. I have a plan for it's use but won't want a ton of ham for a while so in the freezer it goes. This "recipe" is simple. 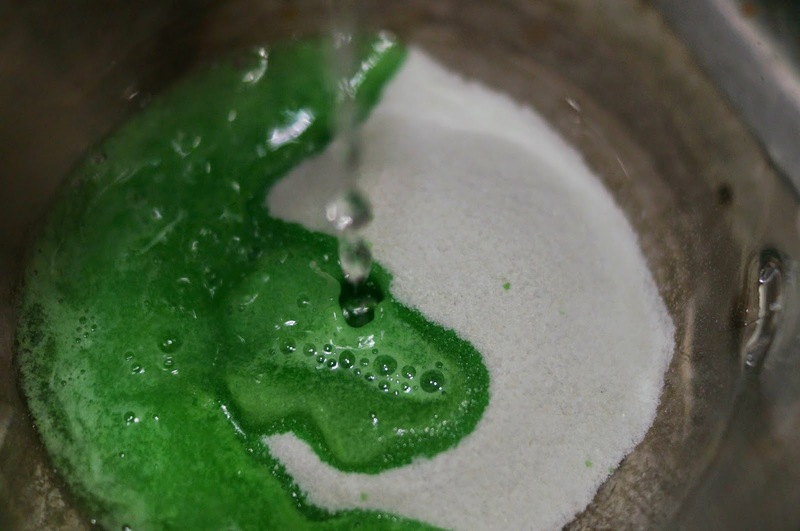 So simple there is only one step by step photo and only two ingredients if you don't count the water! You can certainly cook this on the stove. That is how I grew up eating it at home. Throwing it all in the crock pot is even simpler than that! 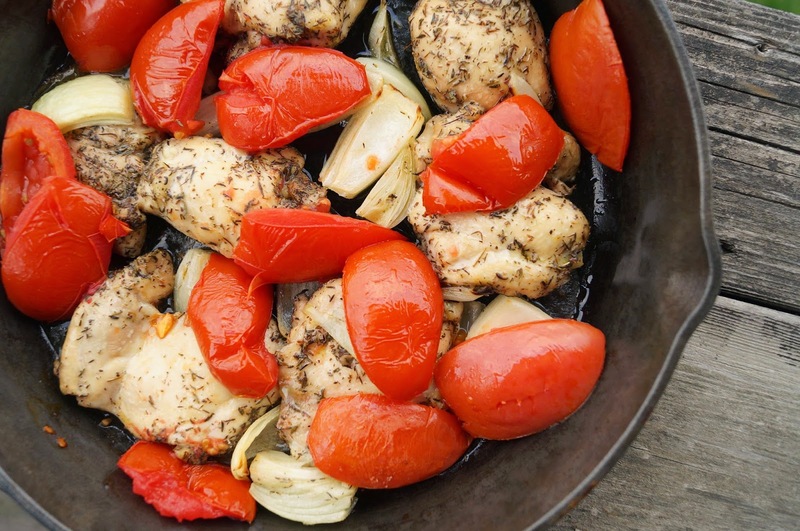 One pan and one bowl, that is all this recipe needs so clean up is minimal. It is also quick. You can have this meal on the table in just a little over 30 minutes. Using chicken thighs means your meat will stay tender. You can change your chicken pieces or use bone-in but you may need to up your baking time so make sure you cook your chicken through. Variations can also be made by using different seasonings that suit your taste. This is a very versatile dish and you can make it your own! 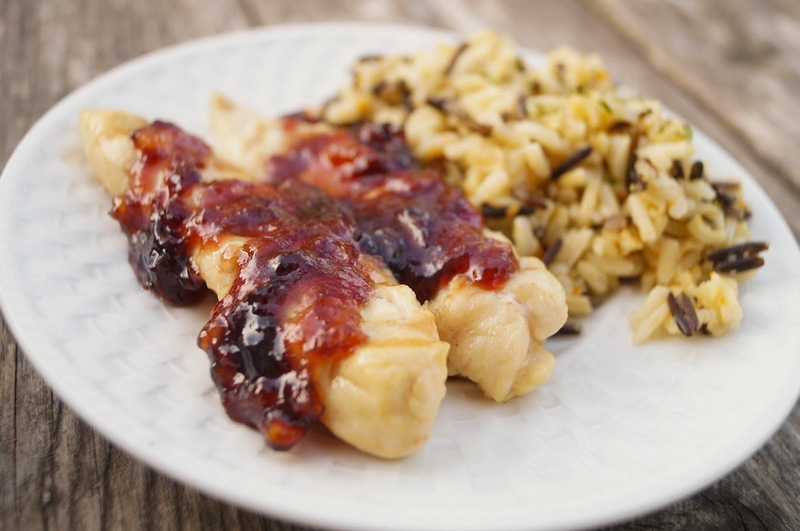 Change up that plain ol' chicken dinner with this sweet fruit glaze. A little goes a long way so be sure not to drown your chicken. This main dish is ready in less than 30 minutes so you can have your meal in no time! Who loves waffles? Raise your hand. You can't see me but I've got both raised!! I love waffles. They are moist on the inside with a little crunch on the outside. 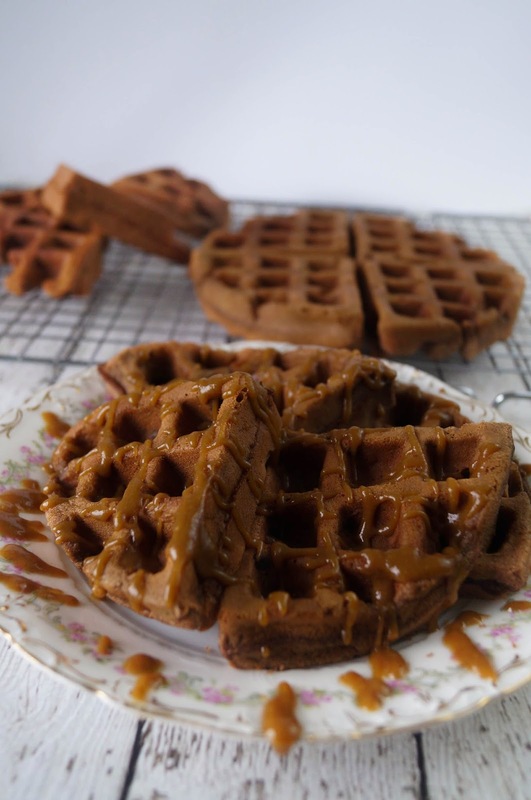 I like a traditional style waffle like my Buttermilk Waffles slathered with some peanut butter and drizzled with syrup or sprinkled with chocolate chips. 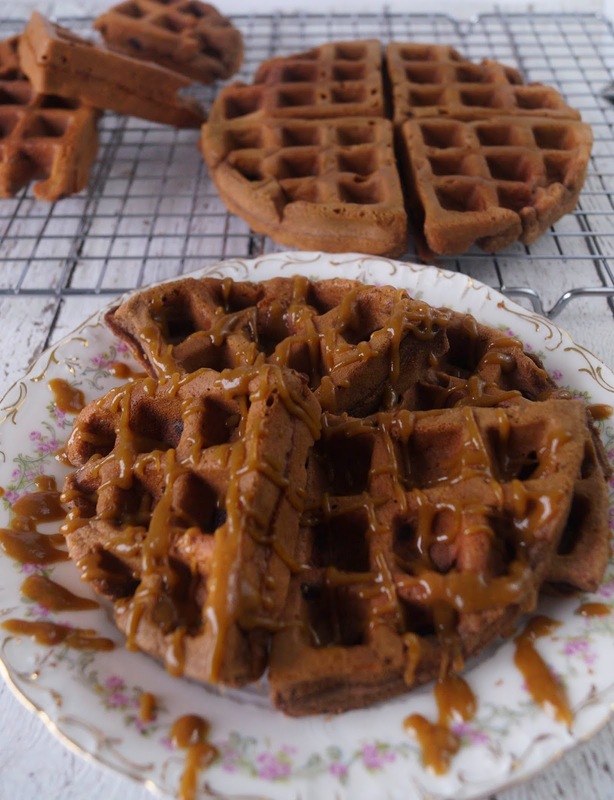 In the fall we break out the pumpkin and spices and have some Pumpkin Buttermilk Waffles with walnuts or hickory nuts and syrup. Recently I decided to give chocolate waffles a try. These brownie waffles are a little slice of heaven! I tried some plain, some sprinkled with powdered sugar (just like my mom used to make our brownies) and with a peanut butter syrup drizzle. They were all good and I couldn't really pick a favorite. You could even serve these as a dessert with a slice of ice cream on top and some chocolate syrup drizzle on. Toppings ideas: powdered sugar, fruit, peanut butter, chocolate syrup, maple syrup. 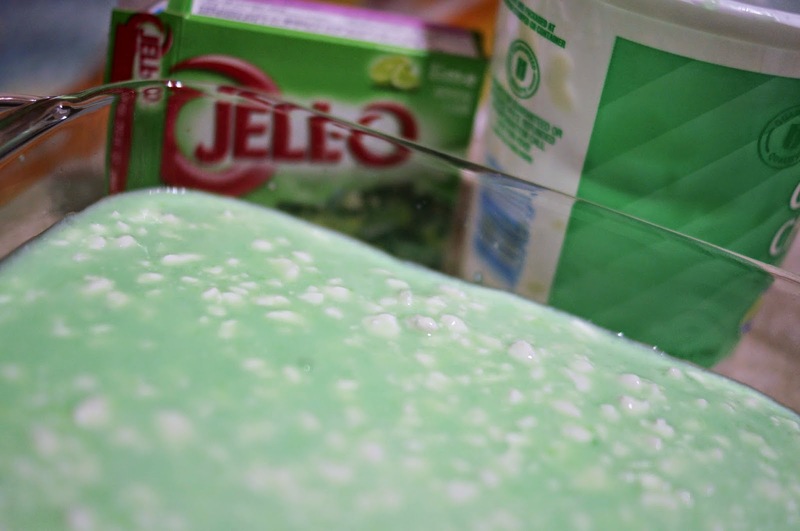 That's the more technical name I suppose but our family always called it "Cottage cheese Jell-O" and everyone knew what it was. My great grandma Pearl made this recipe and most times when it was made it was for a holiday meal. I still enjoy this dish when my mom makes it for Easter or Thanksgiving. 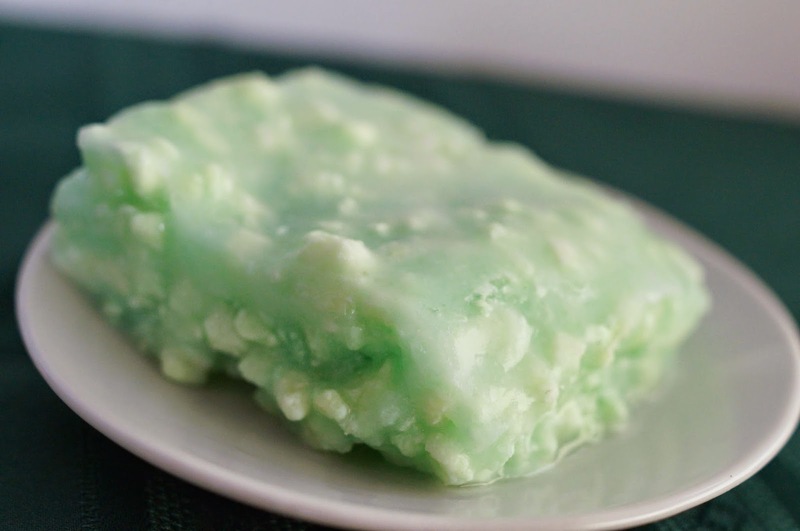 There are many other lime cottage cheese salad recipes floating around that have pineapple, whipped topping, and/or mayonnaise as added ingredients. In fact I came upon a wild spin off of it on a vintage ad site. It called for vinegar and grated onion as added ingredients and was set into a round mold. 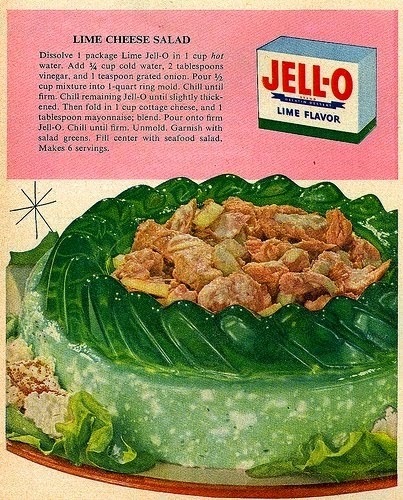 After the gelatin set, the center was filled with seafood salad. Thanks great grandma for not making it that way! 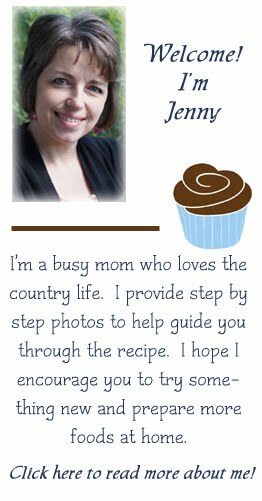 If you'd like to see the ad with the recipe, scroll on down to the bottom! 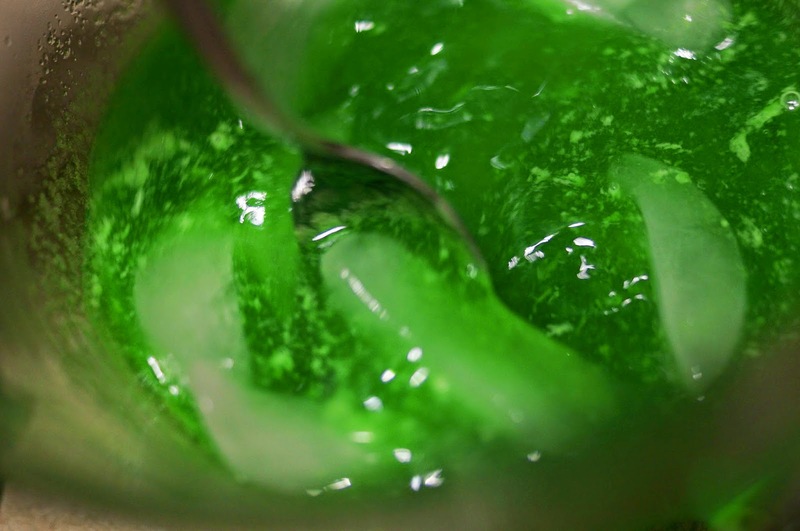 Dissolve gelatin with boiling water. 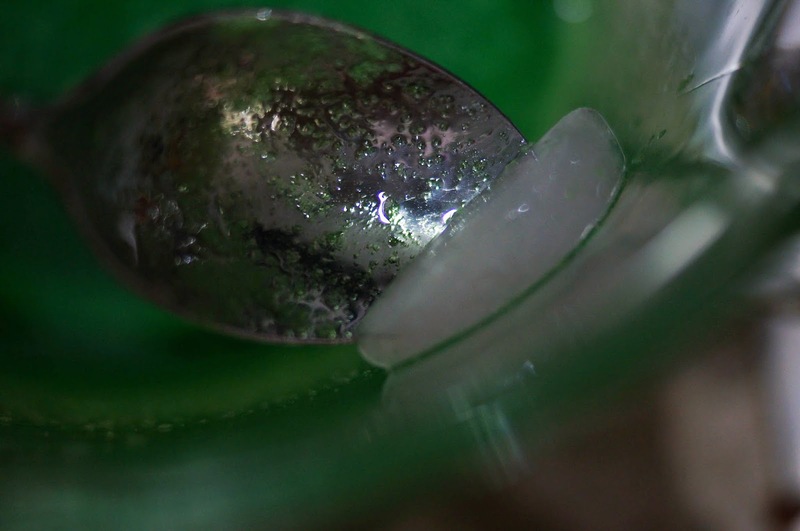 Add one cup of ice cubes and stir just until cool. There will be some big chunks of ice left. Fish those out and toss them. 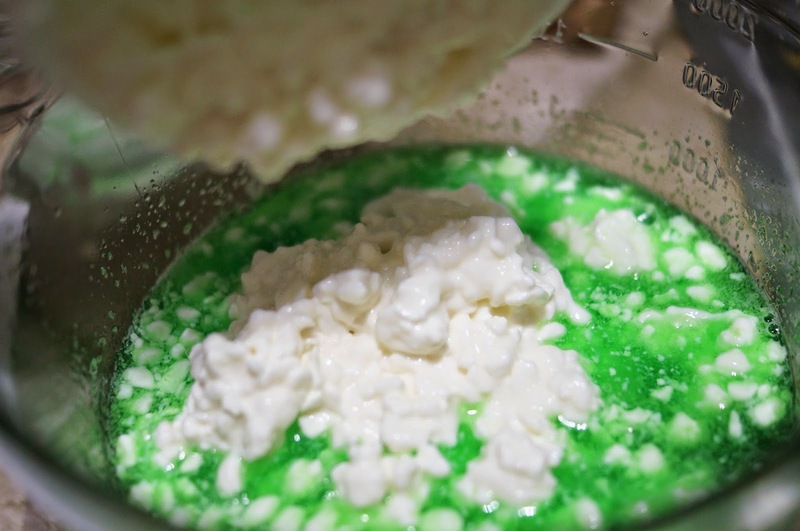 Stir in one container of cottage cheese. Dump into 9 x 9" baking dish. Put in fridge to set up.